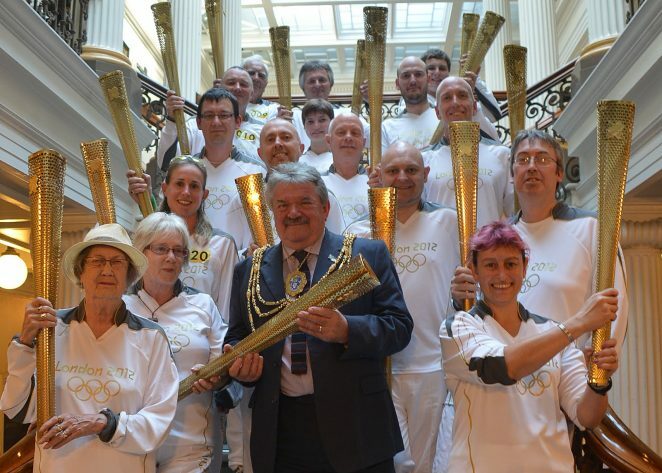 Our photograph here shows the Mayor of Brighton and Hove, Councillor Bill Randall, and the local people who were chosen as Olympic torchbearers for the city. The torchbearers were chosen in recognition of their acts of charity and contributions to the community. The Mayor invited sixteen torchbearers to tea in The Mayor’s Parlour and talked to them about their exciting task. Councillor Randall described the torchbearers as “excellent ambassadors for the city”, and he congratulated them on their unique and once in a lifetime experience.